plus we'll organize and count them for you. 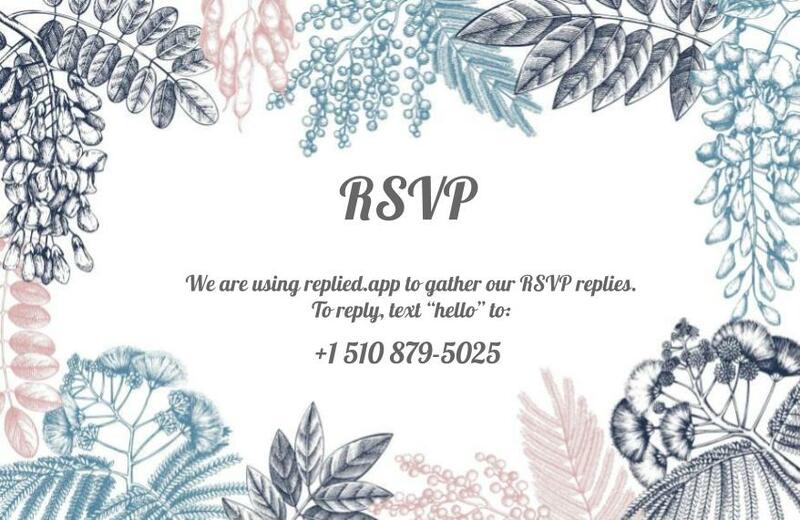 Place your Replied App phone number on your paper (or digital) RSVP cards and send them to your guests. Your guests text your Replied App phone number and the intelligent text platform gathers their replies automatically. View your RSVP replies online and watch as they tally up automatically. ✔ Disable incoming RSVPs in your event settings at any time. Any new guests will be notified that your RSVP window is closed.